A Joshua Tree climbing guide is never complete without delving into rock climbing equipment. While it is true that a climber’s skill and physical ability is crucial, the rock climbing equipment he uses will still play a big part. To help you get the equipment out of the way, we are presenting a handy Joshua Tree climbing guide focused on equipment. Windshirt or softshell jacket – they will serve as a midlayer and can repel wind and light precipitation, all the while still being breathable compared to the completely waterproof variety. Insulated jacket – these jackets can help during colder parts of the night. Ideally, they should be big enough to wear over the rest of your clothes while still being light enough so as not to be a big burden. Sun visor or ball cap – the sun can be brutal in Joshua Tree park. You don’t want a random ray of sunlight blinding you while climbing. These are the technical items that will help you during the climb. You can bring your own, but there are places that rent out these gear, which should be a great option for people who are only going on climbs a few times per year or less. Trail running shoes or light hiking boots – these types of footwear are perfect for rock climbing because they are lightweight, but have enough protection and grip to help you climb more efficiently. 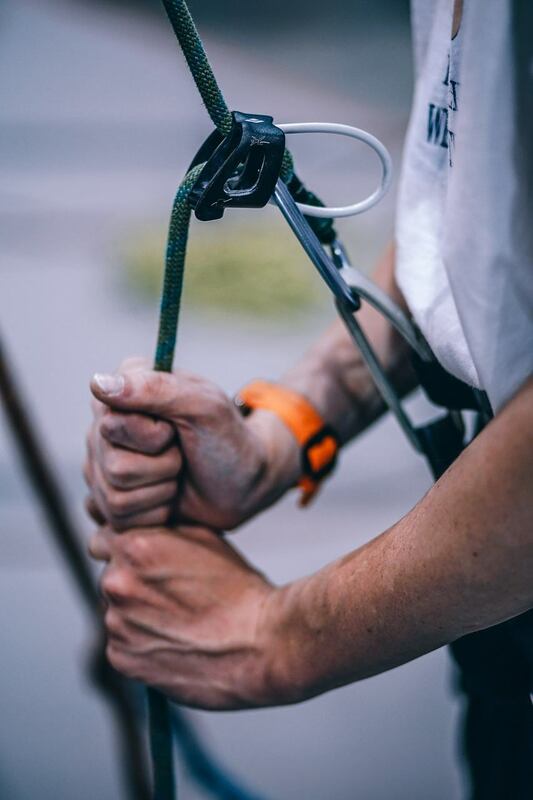 Climbing harness – many dedicated climbers have their own harness, but renting one isn’t too bad. Provided that you rent one that is in good condition and have a perfectly functional belay loop. Helmet – modern climbing, especially for novice climbers, require a good helmet in order to protect against falling rocks, debris, and small bumps. It should come with a headlamp if you plan on early climbs or late finishes. Locking carabiners and belay devices – they serve a wide variety of uses, all crucial to your Joshua tree climbing experiences. Make sure you get lightweight ones that are pear shaped and with a keylock closure. Even though you already have all the necessary climbing, you may still require the help and guidance of an expert Joshua tree climbing guide. It does not even matter how good you are or how long you’ve been climbing. Sometimes simply having another seasoned climber to accompany you will help make the experience even better, and having a buddy can sometimes mean the difference between a close call and a full on accident. Contact us today and we’ll pair you up with one of our expert Joshua Tree Uprising Adventure guides!